Thank you for the excellent longitudinal slice along a pathway which few in the US may be familiar with as an independent source of perspective on our National Nuclear Energy Enterprise. "The present report deals with the concept of Safety Culture as it relates to organizations and individuals engaged in nuclear power activities, and provides a basis for judging the effectiveness of Safety Culture in specific cases in order to identify potential improvements. "The report is intended for use by governmental authorities and by the nuclear industry and its supporting organizations. Prepared by a highly authoritative body, it should help to promote Safety Culture. It is intended to stimulate discussion and to promote practical action at all levels to enhance safety." It has generally been the assumption in many National Nuclear Energy Enterprises (but not all) that the particular plant or site operating organization is the fundamental unit of work for purposes of nurturing and manifesting NSC. This presumption appears to be doctrinaire in oversight groups such as IAEA, NEA, and the Nuclear Regulatory aspects of the EU - it is difficult to conclude a different view pertains in USNRC, INPO, NEI, or WANO. This assumption persists against what would appear to be the clear evidence of how breakdowns in the full NNEE - from top to bottom - were implicated in the major disasters at Chernobyl and Fukushima. It has always been my reading of INSAG-4 that its Principal Risk Insights are drawn in regard to Significant Issues Risk Management, particularly as reflected in those aspects of NNEE governance that only persons with high authority and substantial resource discretion can legitimate. 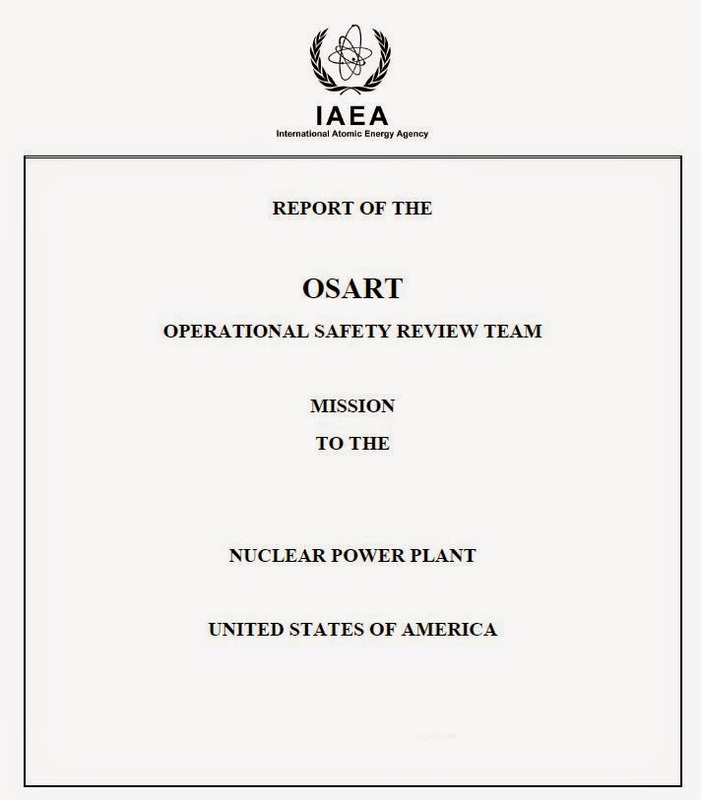 Since the time of TMI, and largely before, rigorous configuration management, quality controlled manufacture and construction, conduct of operations and maintenance discipline, radiological protection, and most other site level functions of effective performance have benefited from a sufficiently detailed standards basis. Before TMI, the Significant Risk Management Issue which went unaddressed was basically this: the standards which existed were sufficient for a small nuclear industry of highly competent professional staff many with the status of Plant Startup "plank owners" (i.e. an expert-based management system). In the 1970's the US NNEE expanded far too rapidly and beyond the Resilience of those expert operations cadres. The industry response to create INPO and the NRC response to provide more detailed expectations of management effectiveness and down to lower levels of details in areas like fire protection, LCO compliance, and emergency management all evolved from that assumption that each plant comprised the natural unit of assessment for evidence of improved performance. Although the SALP process and more recently the ROP, as well as INPO reviews do include evaluation of corporate performance the context remains almost exclusively characterized as "corporate supporting the plant." It is against this tunnel vision that the Safety Matters leading indicators (e.g. Decision Making, Management Incentives, and Corrective Action) provide both contrast, and as is reiterated here the basis for substantive unease. Certainly we should not be ignoring questions for the ANO owners, INPO, and the NRC regarding what missed influence the OSART cautions about outage pressures had in the run up to the subsequent fatality associated with a dropped turbine rotor and the rather startling nuclear safety knock-on effects identified by the NRC's review of this event. It would also be a meaningful event were the program champions for the OSART review to conduct a followup assessment on that question of Return on Significant Management Issue Risk Insight as identified in 2008. The difficulty of course is that none of the regular high level conversations sponsored by IAEA or NRC (e.g. the RIC) appear to convene such inquiries. Every time I get going on this topic I find myself going to the NRC Safety Culture information web pages to see what's new under Safety Culture Case Studies - http://www.nrc.gov/about-nrc/safety-culture/sc-outreach-edu-materials.html - its now over two years since the Policy was promulgated and there is nothing new; none yet relates to an actual situation in the NNEE. I suggest we are left, largely disappointed, with the predicament suggested by your final footnote - why conduct these international team reviews if it is not for the purpose of assessing whether those features considered to be common to all effective programs - independent of specific implementing details - are in fact recognizable to a highly qualified group such as comprise these Teams?